The World Bank has approved a $165 million grant to help Bangladesh provide basic services and build disaster and social resilience for the Rohingyas who fled violence in Myanmar and took shelter in Teknaf and Ukhia Upazila in Cox’s Bazar. This is the third in a series of planned financings of approximately half a billion dollars announced by the World Bank in June 2018. Earlier the World Bank has committed a $75 million grant to provide for the health and learning needs of the Rohingya. 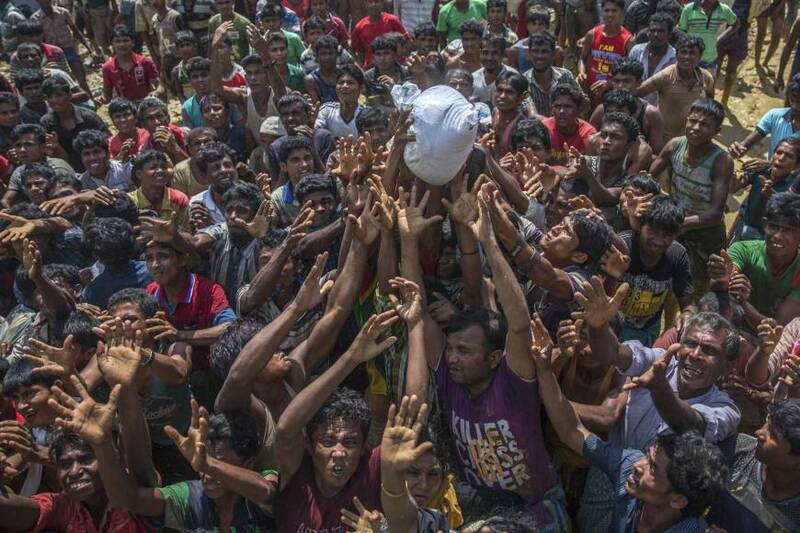 The Emergency Multi-Sector Rohingya Crisis Response Project will help Bangladesh cope with the world’s fastest growing exodus, where the Rohingya outnumber the local community more than threefold in the Teknaf and UkhiaUpazila, said the WB on Saturday. The project will help build and rehabilitate basic infrastructure, improve community resilience and help prevent gender-based violence. This includes building a water supply system comprising of community standpoints, rainwater harvesting, and piped water supply systems as well as improve sanitation facilities. The project will also build and improve multipurpose cyclone shelters, roads, footpaths, drains, culverts, bridges and install solar street lights inside the camps. “Bangladesh has shown great generosity by sheltering and providing for a nearly a million Rohingya people, despite its own development challenges,” said Dandan Chen, World Bank Acting Country Director for Bangladesh and Bhutan. The Rohingya are living in extremely congested conditions in Cox Bazar, an area that is prone to weather shocks. The project will respond to natural disaster shocks and gender-based violence through strengthened government systems. The project service deliveries will focus on women and children, including interventions to prevent gender-based violence. Water and sanitation facilities will target women, children and disabled individuals and the street lights will contribute to better safety. “More than half of the Rohingyapopulation are women and girls and before coming to Bangladesh they were exposed to gender-based violence and now are at risk,” said SwarnaKazi, World Bank Team Leader for the project. The World Bank is helping the host communities with about $200 million support in Cox’s Bazar through ongoing projects: disaster preparedness including building and rehabilitating cyclone shelters; improving basic infrastructures and governance in union parishads, pourashabhas, and municipal areas; social protection; and, collaborative forest management and income generation opportunities for the host communities.